Altitude Balloon Decor is owned and founded by Kahla Sharp-Leggett, a passionate and talented artist with a specialty in Balloon Design. Altitude Balloon Decor provides balloon decorations and decor across Chicagoland to the Far West, Northwest, and South Surburbs, including Aurora, Naperville, Bolingbrook, Downers Grove, Oswego, Chicago and Oak Park, Illinois. Altitude Balloon Decor believes in custom balloon design and will meet with you for a custom consultation to go over your ideas and requests regarding your balloon décor. 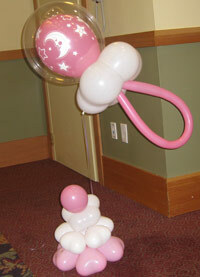 Because balloon décor is both an art and a science, each job is specially priced based on the event space, types of balloon materials required, size of the balloon design, travel to and from the location, labor and set-up fees. I’ll work with you to provide a spectacular arrangement that fits both the occasion and your budget.